Heyrovskýite: Mineral information, data and localities. 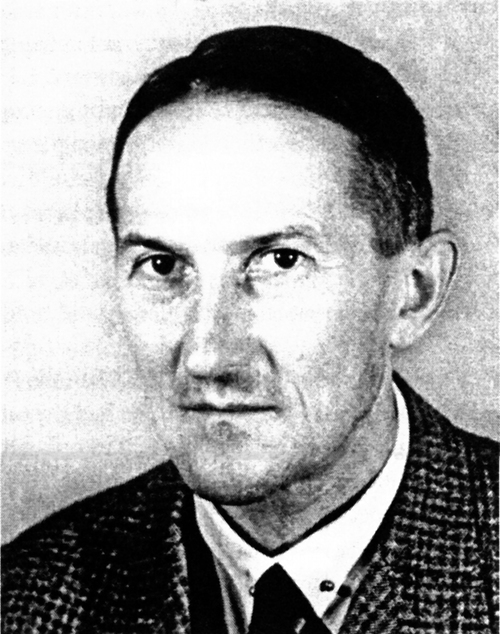 Named in 1971 J, Klominsky, M. Rieder, C. Kieft, and L. Mraz in honor of Jaroslav Heyrovský [1890-1967], professor of chemistry at Charles University, Prague, Czech Republic. Bi may be substituted by Sb (Ertl et al., 1994). A heyrovskýite with a doubled c-axis (2x 4.08 A) is decribed by Ertl et al. (1994). Argentogoongarrite Unnecessary name for an argentian variety of heyrovskýite. Quartz 2 photos of Heyrovskýite associated with Quartz on mindat.org. Lillianite 1 photo of Heyrovskýite associated with Lillianite on mindat.org. Chalcopyrite 1 photo of Heyrovskýite associated with Chalcopyrite on mindat.org. Pyrite 1 photo of Heyrovskýite associated with Pyrite on mindat.org. Galena 1 photo of Heyrovskýite associated with Galena on mindat.org. American Mineralogist: 57 (1972) 325 (Abs.). Chang, L. L. Y.; Wu, D.; Knowles, C. R. (1988): Phase relations in the system Ag2S-Cu2S-PbS-Bi2S3. Economic Geology 83, 405-418. Canadian Mineralogist: 29 (1991) 553-559. Kolitsch, U. (2010): 1640) Aikinit, Heyrovskýit und Hodrušit vom Westfeld des Scheelitbergbaus Felbertal, Salzburg. Pp. 228 in Niedermayr et al. (2010): Neue Mineralfunde aus Österreich LIX. Carinthia II, 200./120., 199-260. PUTZ, H. (2010): Neufunde aus Salzburger Erzlagerstätten. Mineralogisches Archiv Salzburg, 13, 275-277. Niedermayr, G. et al. (2007): Neue Mineralfunde aus Österreich LVI. Carinthia II, 197/117, 149-190. Walenta, K. (1992): Die Mineralien des Schwarzwaldes. Chr. Weise Verlag, München, 336 pp. (in German); Anthony, Bideaux, Bladh, Nichols: "Handbook of Mineralogy", Vol. 1, 1990; Staude, S., Dorn, A., Pfaff, K., & Markl, G. (2010). Assemblages of Ag–Bi sulfosalts and conditions of their formation: the type locality of schapbachite (Ag0. 4Pb0. 2Bi0. 4S) and neighboring mines in the Schwarzwald ore district, southern Germany. The Canadian Mineralogist, 48(3), 441-466. Voudouris, P. & Economou-Eliopoulus, M. (2003): Mineralogy and chemistry of Cu-rich ores from the Kamariza carbonate-hosted deposit (Lavrion), Greece. In: Eliopoulos et al. (Eds. ): Mineral Exploration and Sustainable Development. Millpress, Rotterdam, 1039-1042. BORODAEV Y.S., GARAVELLI A., GARBARINO C., GRILLO S.M., MOZGOVA N.N., PAAR W.H., TOPA D., VURRO F. (2003): Rare sulfosalts from Vulcano, Aeolian Islands, Italy. V. Selenian heyrovskýite. - Canadian Mineralogist - 41, 429-440. Alfredo Petrov collection (obtained from Dr. Ryuji Marumoto); Karup-Møller, S. (1977). Mineralogy of some Ag-(Cu)-Pb-Bi sulphide associations. Bulletin Geological Society Denmark, 26, 41-68.; Shimizu, M., Kato, A., & Sakurai, K. I. (1993). Heyrovskýite, lillianite solid solution and galena from the Yakuki mine, Fukushima Prefecture, Japan. Shigen-Chishitsu, 43(240), 283-290. Shimizu, M., Kato, A., & Sakurai, K. I. (1993). Heyrovskýite, lillianite solid solution and galena from the Yakuki mine, Fukushima Prefecture, Japan. Shigen-Chishitsu, 43(240), 283-290. Kołodziejczyk, J., Pršek, J., Melfos, V., Voudouris, P. C., Maliqi, F., & Kozub-Budzyń, G. (2015). 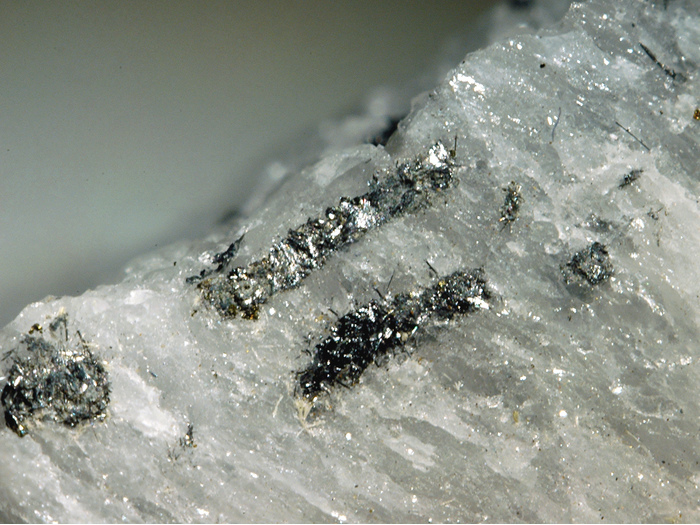 Bismuth minerals from the Stan Terg deposit (Trepça, Kosovo). Neues Jahrbuch für Mineralogie-Abhandlungen: Journal of Mineralogy and Geochemistry, 192(3), 317-333. Noku, S.K., Akasaka, M. & Matsueda, H. (2011): The Crater Mountain Deposit, Papua New Guinea: Porphyry-related Au-Te System. Resource Geology, 61, 63-75. Yáñez, J., & Alfonso, P. (2014, May). 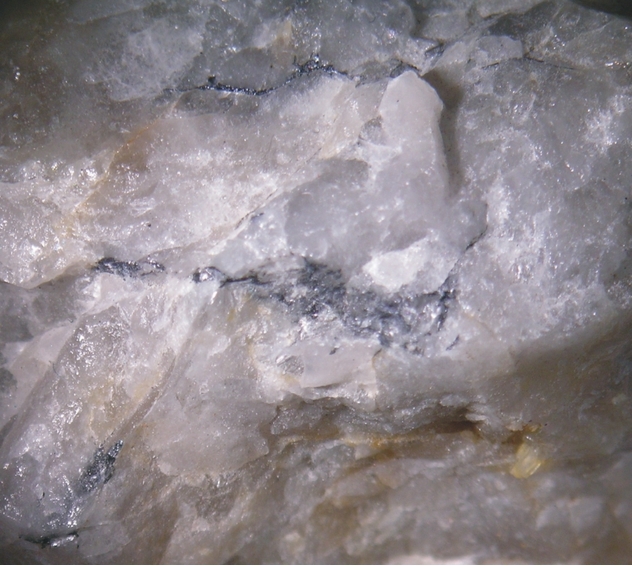 Mineralogy of the Chaparra IOCG deposit, southern Peru. In EGU General Assembly Conference Abstracts (Vol. 16). Cristiana L. Ciobanu, Nigel J. Cook, Christian Maunders, Benjamin P. Wade and Kathy Ehrig (2016): Focused Ion Beam and Advanced Electron Microscopy for Minerals: Insights and Outlook from Bismuth Sulphosalts. Minerals 6(4), 112. ; Cook, N. J., Ciobanu, C. L., & Bogdanov, K. (2002) Trace mineralogy of the Upper Cretaceous banatitic Magmatic and metallogenetic Belt, SE Europe. In 11th Quadrennial IAGOD symposium–Geocongress 2002, Windhoek, Namibia, July 2002. CD Volume of extended abstracts. Buzatu, A., Damian, G., Dill, H. G., Buzgar, N. & Apopei A. I. (2015): Mineralogy and geochemistry of sulfosalts from Baia Sprie ore deposit (Romania) — New bismuth minerals occurrence. Ore Geology Reviews 65, 132-147. Buzatu, A., Damian, G., Dill, H. G., Buzgar, N., & Apopei, A. I. (2015) Mineralogy and geochemistry of sulfosalts from Baia Sprie ore deposit (Romania)—New bismuth minerals occurrence. Ore Geology Reviews, 65, 132-147. Mitt. .Österr. Miner. Ges. 143 (1998); Cook, N. J. Mineralogisches Institut der Universität Würzburg Am Hubland, D-97074 Würzburg Lecture to the Austrian Mineralogical Society 23 rd June 1997 in Salzburg. Mitt. .Österr. Miner. Ges. 143 (1998); Cook, N. J. (1997). Bismuth and bismuth–antimony sulphosalts from Neogene vein mineralisation, Baia Borşa area, Maramureş, Romania. Mineralogical Magazine, 61(3), 387-409. Gonevchuk, V. G., Korostelev, P. G., & Semenyak, B. I. (2005). Genesis of the Tigrinoe tin deposit (Russia). Geology Of Ore Deposits C/C Of Geologiia Rudnykh Mestorozhdenii, 47(3), 223. Simanenko, L. F. (2007). Modes of trace element occurrence in galena from the Partizansky base metal-skarn deposit, Primorye. Russian Journal of Pacific Geology, 1(2), 144-152. Gamyanin, G. N., Anikina, E. Y., Bortnikov, N. S., Alpatov, V. V., Borisenko, A. S., & Nosik, L. P. (1998). The Prognoz silver-polymetallic deposit, Sakha: Mineralogy, geochemistry, and origin. GEOLOGY OF ORE DEPOSITS C/C OF GEOLOGIIA RUDNYKH MESTOROZHDENII, 40, 391-407. Ozdín D. & Pršek J. (2004): Sulfosoli homologického radu lillianitu z hydrotermálnych mineralizácií Nízkych Tatier. Mineralia Slovaca 3-4, 279-285. Ozdín D. & Pršek J., 2004: Sulfosoli homologického radu lillianitu z hydrotermálnych mineralizácií Nízkych Tatier. Mineralia Slovaca, 36, 3-4, 279-285. Nowacki, W. & Stalder, H. A. 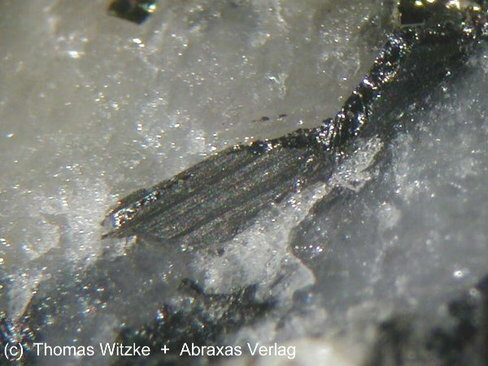 (1976): On a Swiss find of heyrovskyite. Schweizer Strahler 4(1), 16-20 (in German/French). ; Stalder, H. A., Wagner, A., Graeser, S. and Stuker, P. (1998): "Mineralienlexikon der Schweiz", Wepf (Basel), p. 215-216.